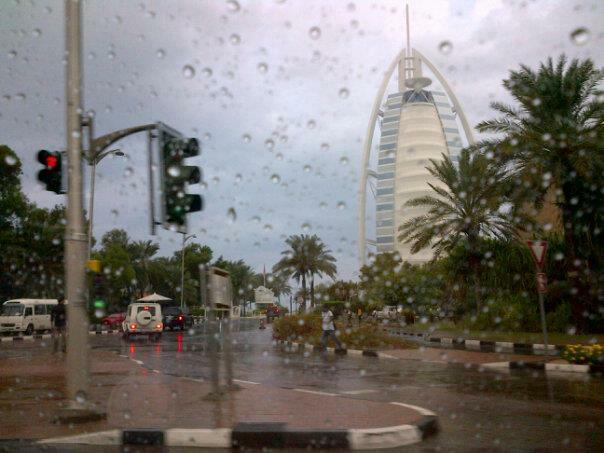 We’ve enjoyed exotic weather here in Dubai today – it’s been raining (pouring)! This is the first time I’ve experienced rain for a couple of months and for some people it’s the first time for over half a year. (Okay, there was a bit of rain last week, but that was early morning so we only saw the remnants of it). It also happens to be National Day weekend, the UAE is turning 41 on Sunday. So people are off for a few days, there are flags and decorated cars everywhere and a lot of extra happening going on. We’re supposed to celebrate on a friends yacht tomorrow but in case the weather stays like this I think we’ll have to postpone. Today we performed at brunch and hung out with our friends and their cute kids after. Fun! We passed by Mall of the Emirates which I know should be avoided on a Friday evening but with National Day weekend and rain outside it was just CRAZY.